THE SPONSOR of Worthing’s new academy could pull out if they ‘cannot ensure safety’ of students when using the Manor Sports Ground for lessons. A public consultation was held on Monday over Bohunt Educational Trust’s wishes to share use of the ground, in Broadwater Road, Worthing, when the new school is built opposite next year. Among the options was a proposal to fence off the ground during the school day, barring public access on safety grounds. Speaking to the Herald at the consultation, Bohunt chief executive Neil Strowger said: “Pulling out would be an option (if we couldn’t ensure the safety of students). The consultation, at Broadwater CofE First and Middle School, in Rectory Gardens, saw three options put forward. Option one outlined shared use, with public access at all times. Option two fenced off a strip of land for the public, leaving most of the ground off limits during the school day. The final option saw the ground entirely fenced off, allowing Bohunt exclusive access during the school day. All options included the painting of a 400 metre running track, two football pitches and long and high jump facilities. Bohunt director Phil Avery confirmed the school felt ‘exclusive use’ during the school day should be ‘reasonable’, citing national guidelines and one incident of a dog biting pupils in a Hove park. But South Broadwater Residents’ Association chairman Tim Nicholls dismissed the single dog incident as ‘scaremongering’. A decision as to whether Bohunt can share the ground has not yet been made, with Worthing Borough Council due to decide the outcome next year. 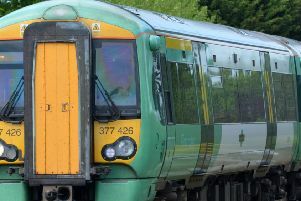 West Sussex County Council held the consultation in response to a public meeting in October, where concerns that a deal had already been done was feared by residents. While many residents, including an action group, want shared access, others were happy to see the ground fenced off. For the full story, see the Herald, out Thursday, December 18.